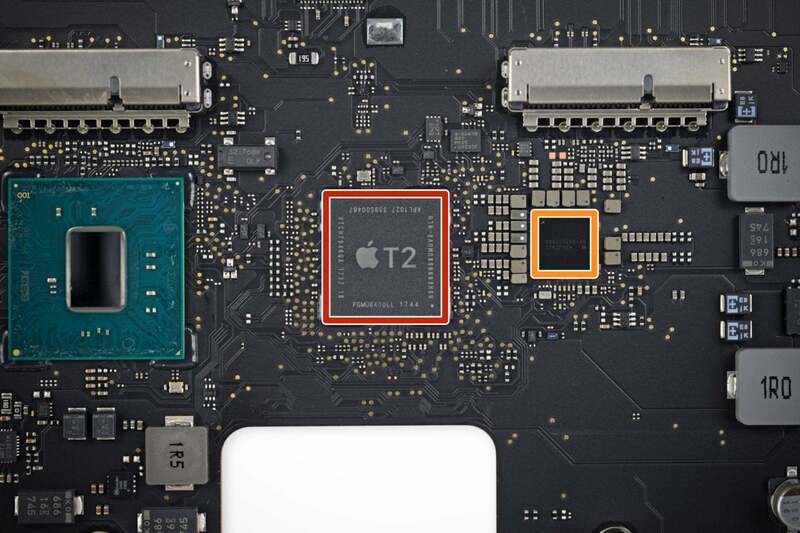 Sure, it's the fastest Mac ever made, but the T2 chip is what really makes it different. A hybrid Mac? Not quite. I’ve spent the last week with Apple’s new iMac Pro, and in most ways it’s just a faster Mac. It's the first pro Mac desktop in over three years and the fastest Mac yet made, granted, but still entirely familiar. And yet in many ways—some noticeable, some entirely invisible—this new Mac is completely different from all past Mac models. The T2 processor isn’t doing the heavy lifting in the iMac Pro—that’s the Intel Xeon processor with between 8 and 14 processor cores. The T2 is the brain behind that brain, running the subsystems of the iMac Pro from a single piece of Apple-built silicon. The result is a simplified internal design that doesn’t require multiple components from multiple manufacturers. 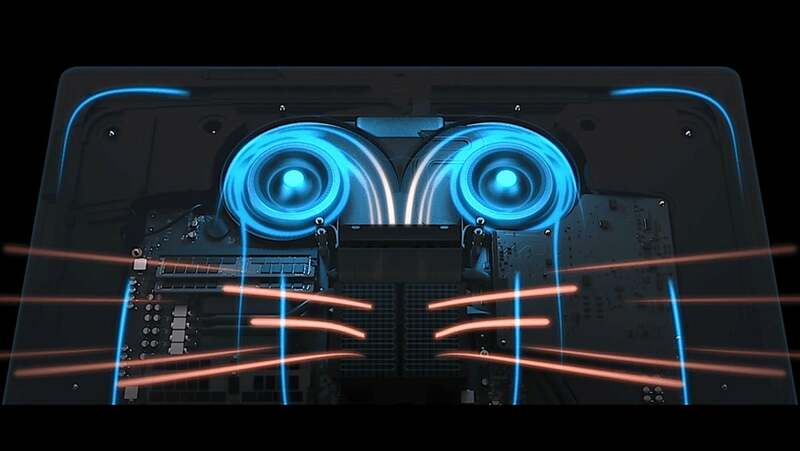 Among the T2's tasks is control over the new iMac cooling system. On most Macs, there are discrete controllers for audio, system management and disk drives. But the T2 handles all these tasks. 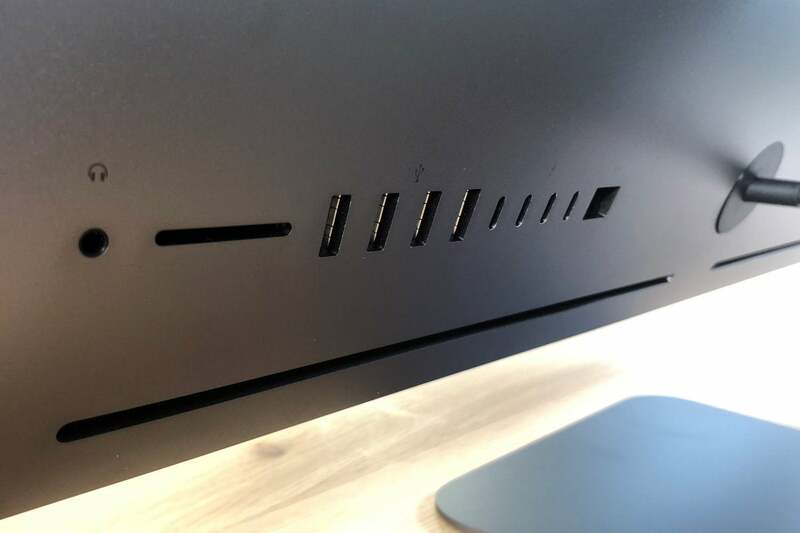 The T2 is responsible for controlling the iMac Pro’s stereo speakers, internal microphones, and dual cooling fans, all by itself. The iMac Pro’s FaceTime camera can capture 1080p video, an upgrade from the 5K iMac’s 720p resolution. But this new FaceTime camera is driven by the T2 processor, which means it’s got intelligence that previous FaceTime cameras lacked. Like its cousin processors that drive the iPhone, the T2 has an Apple-designed image signal processor that detects faces in order to properly set exposure and white balance, dynamically adjusts exposure, and a whole lot more—all in the service of producing a better image, just like what happens when you shoot photos or video with your iPhone. The iMac Pro offers between 1TB and 4TB of flash storage, also commonly referred to as an SSD, or “solid-state drive.” This is hardly the first Mac to include SSDs, but it’s a very different approach to storage than previous models. In addition to all this external I/O, the iMac Pro has crazy-fast striped SSDs, encrypted and controlled by the T2. As for the disk controller? There isn’t one—or more accurately, the disk controller is built into the T2 itself. This gives the T2 complete control over internal storage on the iMac Pro. This has some major benefits in terms of speed and security. Every bit of data stored on an iMac Pro’s SSD is encrypted on the fly by the T2, so that if a nefarious person tried to pull out the storage chips and read them later, they’d be out of luck. All this encryption happens invisibly, so the SSDs in the iMac Pro still operate at full speed—approximately 3GB per second. You know you’re a Mac nerd when you have opinions about the keys you need to hold down when rebooting while troubleshooting a problem. But on the iMac Pro, booting and rebooting is different—very different. In essence, it’s a two-stage process, first driven by the T2, then driven by the more traditional system boot process. When you start up the iMac Pro, the familiar Apple logo appears almost immediately. This is a sign that the T2 is taking control. For security reasons, the T2 is the iMac Pro hardware’s “root of trust,” and it validates the entire boot process when the power comes on. The T2 starts up, checks things out, loads its bootloader, verifies that it’s legitimate and cryptographically signed by Apple, and then moves on to the next part of the boot process. By default, security is set to Full, which means that only the current operating system or another OS version signed and trusted by Apple—meaning it hasn’t been tampered with in any way—can be booted by the computer. This version requires a network connection when you attempt to install any OS software updates, because it needs to verify with Apple that the updates are legitimate. You can also set the security level lower, to Medium (which allows older version of macOS to run regardless of Apple’s level of trust), or turn the feature off entirely, emulating the way all other Macs currently start up. Before the iMac Pro was released, there was a lot of speculation that it was part of a trend toward creating a “hybrid Mac” that is driven by both an Intel processor and an Apple-designed ARM chip like those found in other Apple devices. The iMac Pro is definitely a hybrid of a sort, but probably not the one people were expecting. With the T2, Apple is using its chip-design prowess to take more control over parts of the Mac hardware that were previously outsourced to other controllers, and reaping the benefits of integrating them all together. The iMac Pro isn’t running iOS apps, but it does get to take advantage of most of the work Apple has done to bolster the security of iOS devices and enhance the quality of photos and video taken by iPhone cameras. Apple will almost certainly continue to push this technology into more future Mac models, because it allows Apple to use the work it’s already done on iOS to improve the features and security of the Mac.